I remember a song from our Mayflower Song Book, Merry Mayflower. Not sure which number it is but it was a poem written by Stephen Grellet titled “I shall pass through this world but once” modified into a song by the Late Dr. Tai Solarin. “I shall pass through this world but once. Any good therefore that I can do or any kindness that I can show to any human being, let me do it now. Let me not defer or neglect it, for I shall not pass this way again. What this poem/song tells me in this season is pretty simply and straight forward. Never Never give up. No matter what my hands find doing, i better keep at it for in one way or the other, am making life better for someone and making my foot in the sands of time. It may look to you like “Monkey dey work, baboon dey chop” but the truth has i have come to learn is encapsulated in the parable of the talents in the scriptures. Truth is, how many of us are willing to put in our best, motivated by our best in what we are doing and not by the fleeting rewards we hope to get from the task. The reality check is this, if your Boss needs to be on seat for you to do your work, you are a fraud and an unprofitable steward. But if you are at your task, irrespective of your Boss been on seat or not, your rewards would be in commensurate measure and not only that, it shows you are a profitable steward! What opportunity do you have to affect a live? What opportunity do you have to make an impact? You don’t need the mega millions to do it. Neither do you need a massive follower ship on social media. Doing that is showmanship and you would get your immediate reward of 5 minute fame. But the impact that you would make, unnoticed by the world but by God, that is a profitable impact. We need to realize as well that, we have only one shot at this life and it would be to our good advantage if we can take a good shot to make a massive impact. Quit the social hype! Quit the band wagon effect! Quit the deception! Lets get real and discover what our maker expects from us. And truly, as i am getting to discover its not so difficult. ← GRAMMA NO BE MY LANGUAGE! 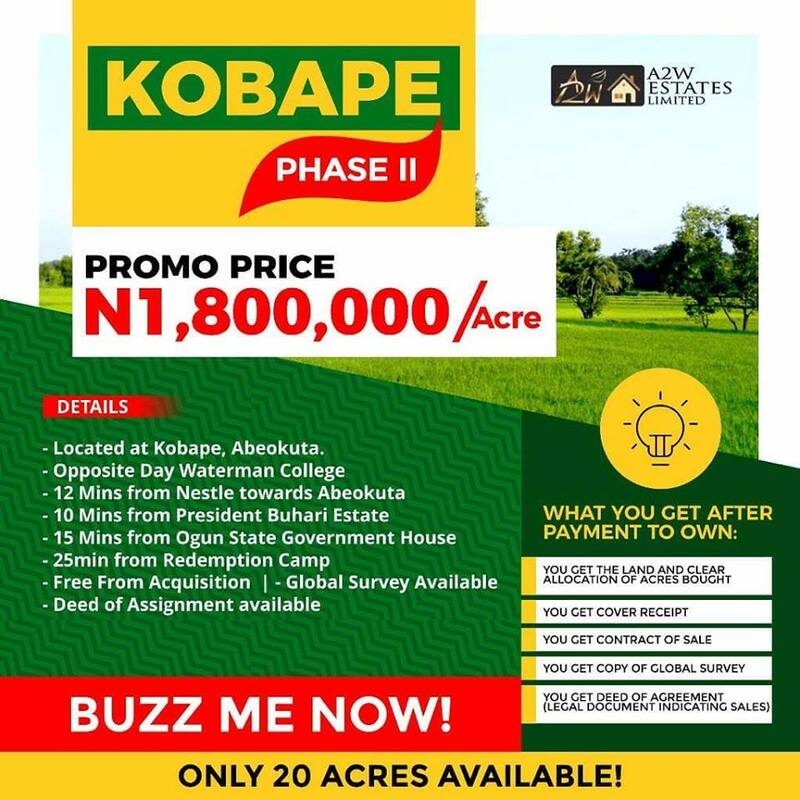 Get a acre for N1,800,000 Outright payment today!!! Introducing THE GREENLAND!!! Its never to late to own a land to secure your future! Click the image for more details!! Sam Aderibigbe on Proudly An Exmay!! Ayodele Mesaiyete on Proudly An Exmay! !